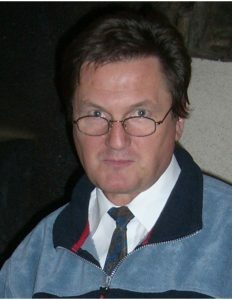 Pierre Labbé graduated as civil engineer (Ecole Centrale de Paris) and PhD in Mathematical Sciences (Rennes University). He is now professor of earthquake engineering and structural dynamics at Ecole Spéciale des Travaux Publics (Paris-East University) and Paris Institute of Technology (ParisTech), after he was nominated Associated Professor of French Universities in 1993. He spent most of his career in EDF Group where his last position was corporate expert in seismic risk. After the Fukushima-Daïchi accident he supervised the seismic facet of the stress-tests for the 58 EDF nuclear units in France. In the 90’s he was successively head of the civil engineering branch and mechanical engineering branch of the EDF Basic Design Department for NPPs. In the period 1999-2004 he joined the International Atomic Energy Agency (IAEA) as head of the unit in charge of Safety Standards for Siting and Design of Nuclear Facilities. He conducted comprehensive engineering safety reviews of NPPs in Armenia, Bulgaria, Iran and the Czech Republic, as well as seismic safety reviews of nuclear facilities in many other countries. He published around 150 papers, including more than 20 in international journals; the most recent one being entitled “Compared Effects of Earthquakes, Tsunamis and Aircraft Crashes on Base-isolated Massive Structures”, in Journal of Civil Engineering and Architecture Research (2016 ). In 2013-2017 he was chairman of the OECD Nuclear Energy Agency group of experts in seismic engineering. In 2004-2008 he was President of the French Association for Earthquake Engineering.